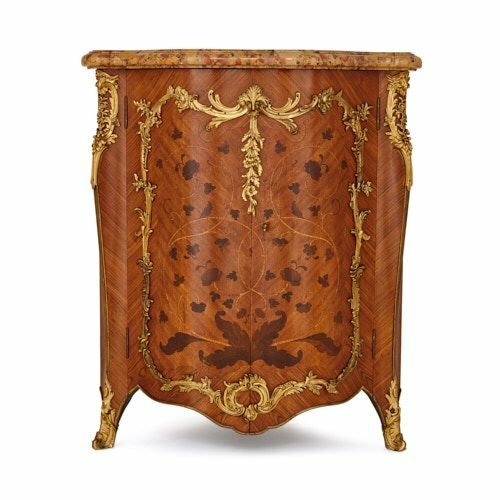 This beautiful corner cabinet was crafted by the famous Gervais-Maximilien-Eugene Durand, who was active in Paris in the second half of the 19th Century. 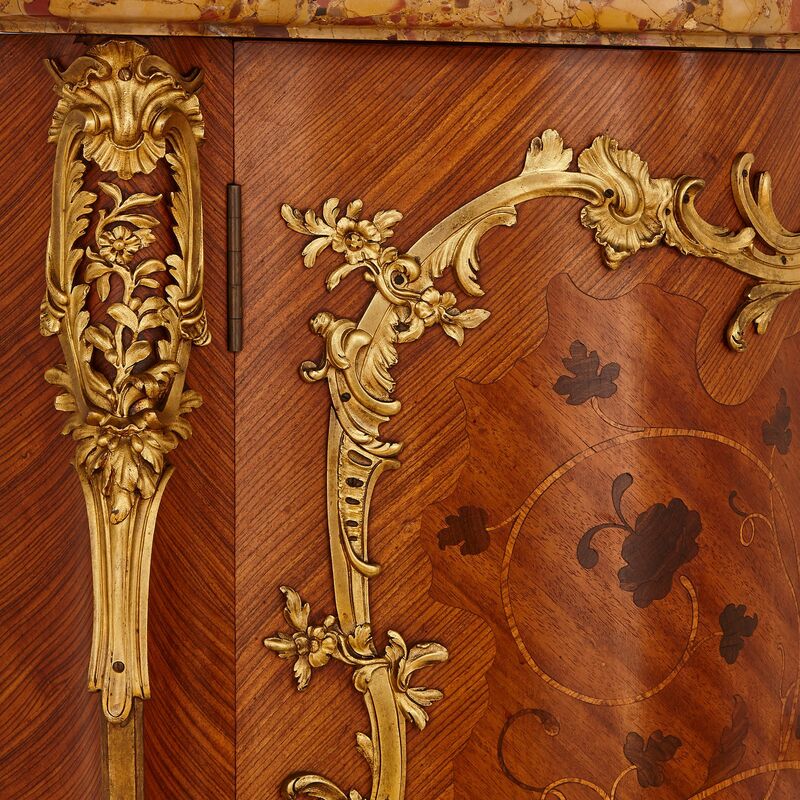 The cabinet is set on three feet, giving the piece a triangular form that allows it to sit in the corner of a room; the front two feet are beautifully enhanced with scrolled, foliate ormolu mounts (although this level of detailing is not present or necessary on the third foot, which won't be seen once the piece is placed in situ). The front of the cabinet features a floral marquetry design, composed of kingwood inlays set against a satinwood background. 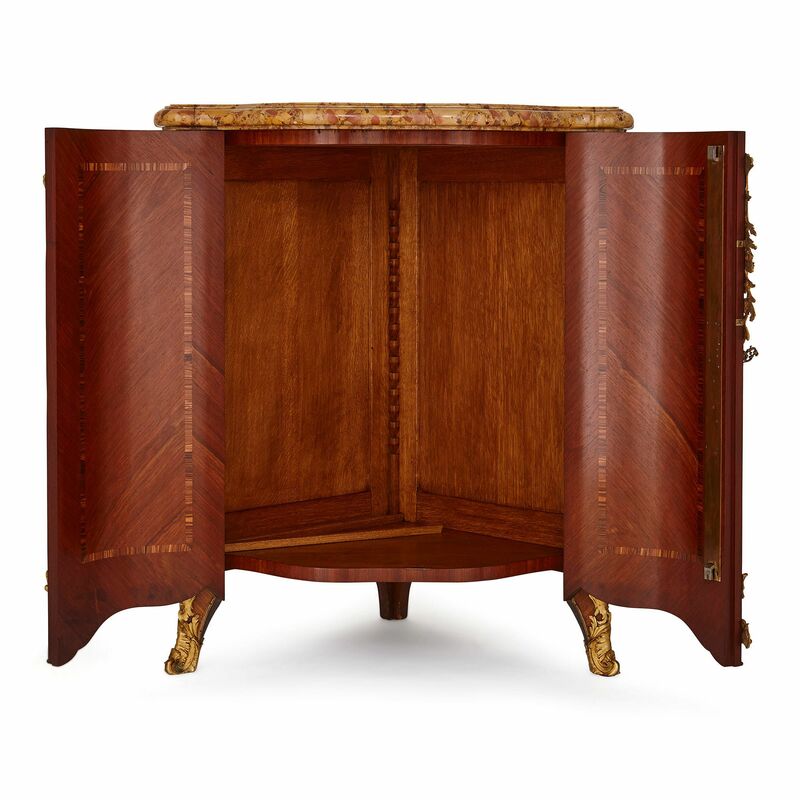 The cabinet comes with a key, which can be used to unlock the front doors, opening to reveal a large storage space behind. 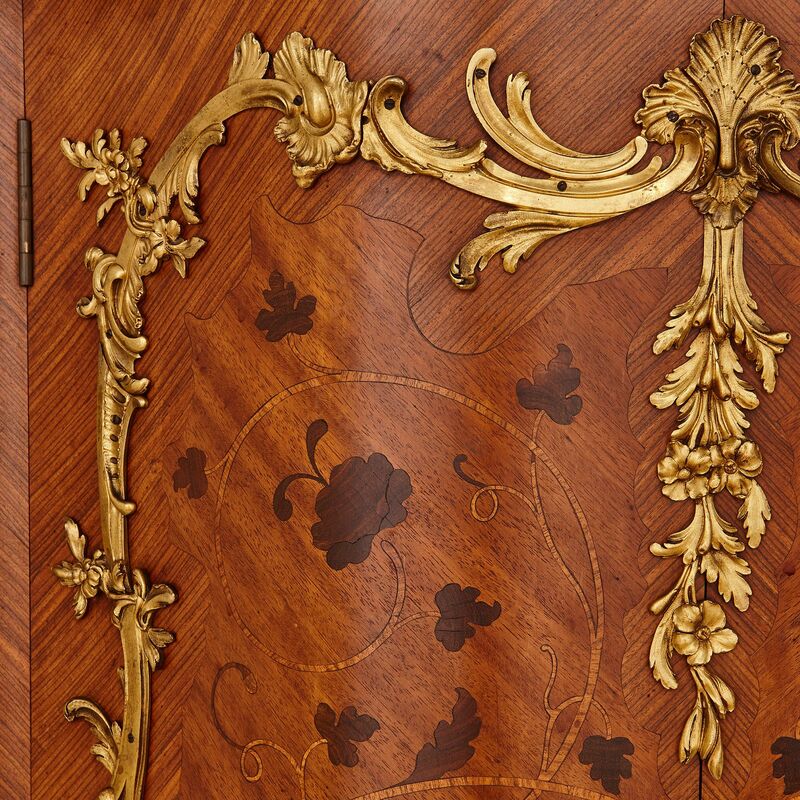 The central marquetry design is framed by a rocaille style gilt bronze border, composed of scrolling, foliate forms. 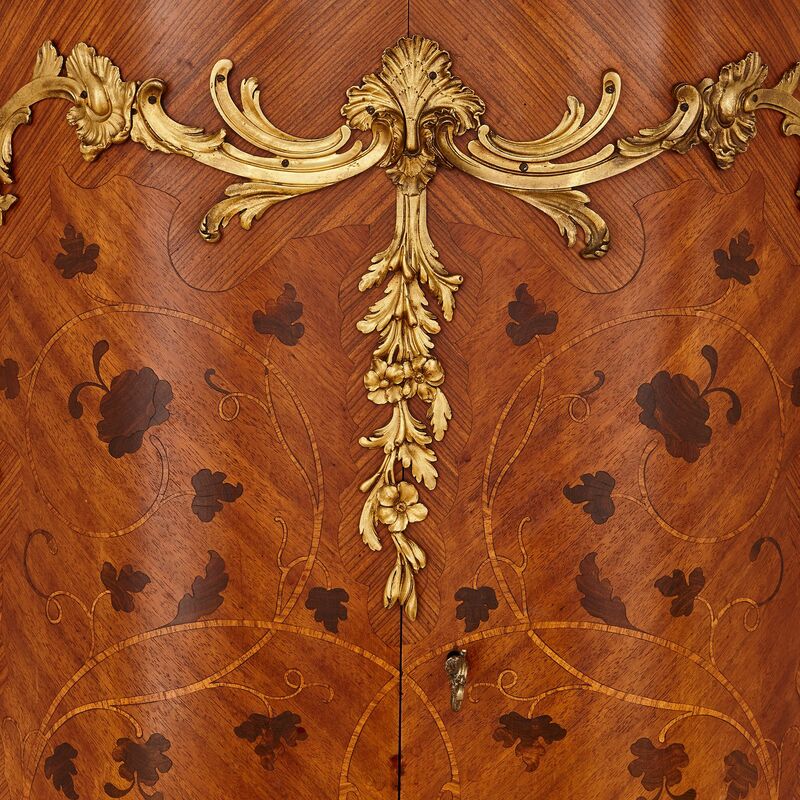 The shoulders of the piece are similarly mounted with classically-inspired, undulating gilt bronze shapes, which serve to frame flowers. 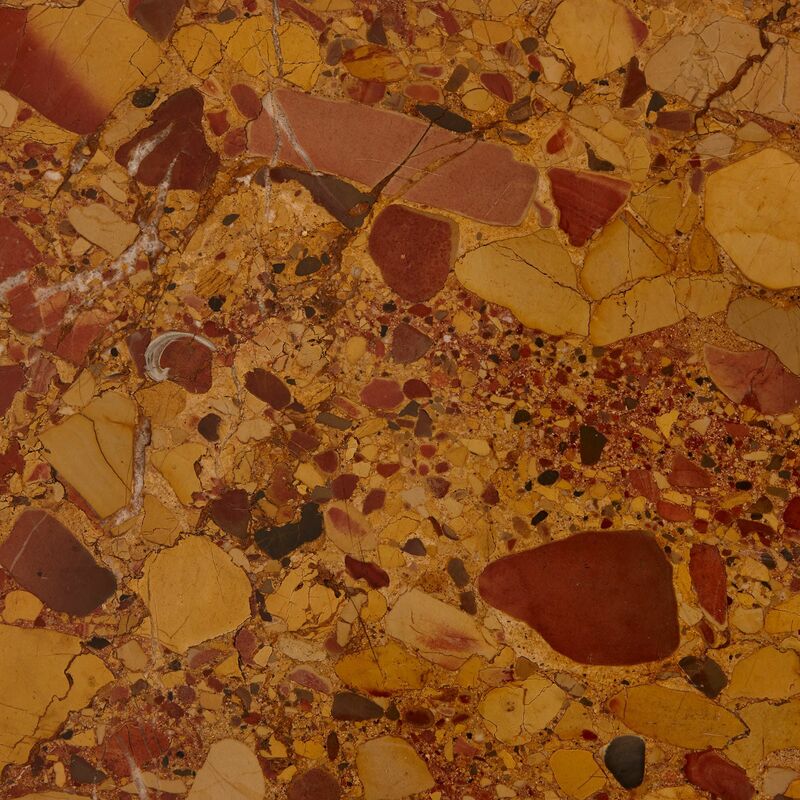 Above, the cabinet has been fitted with an orange-coloured marble top. The cabinet is stamped by the maker 'G. 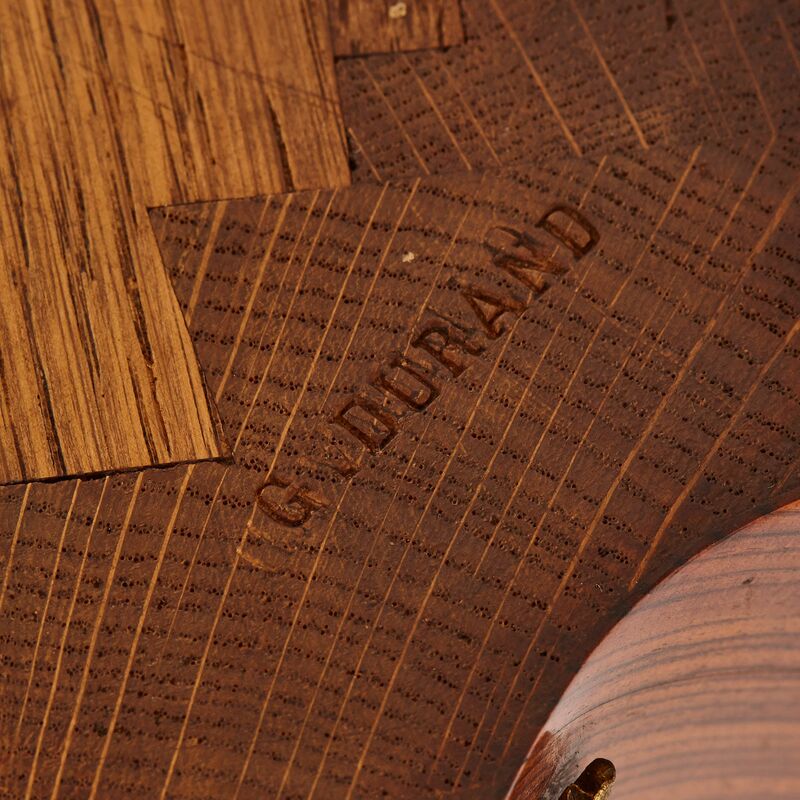 Durand' in two places. 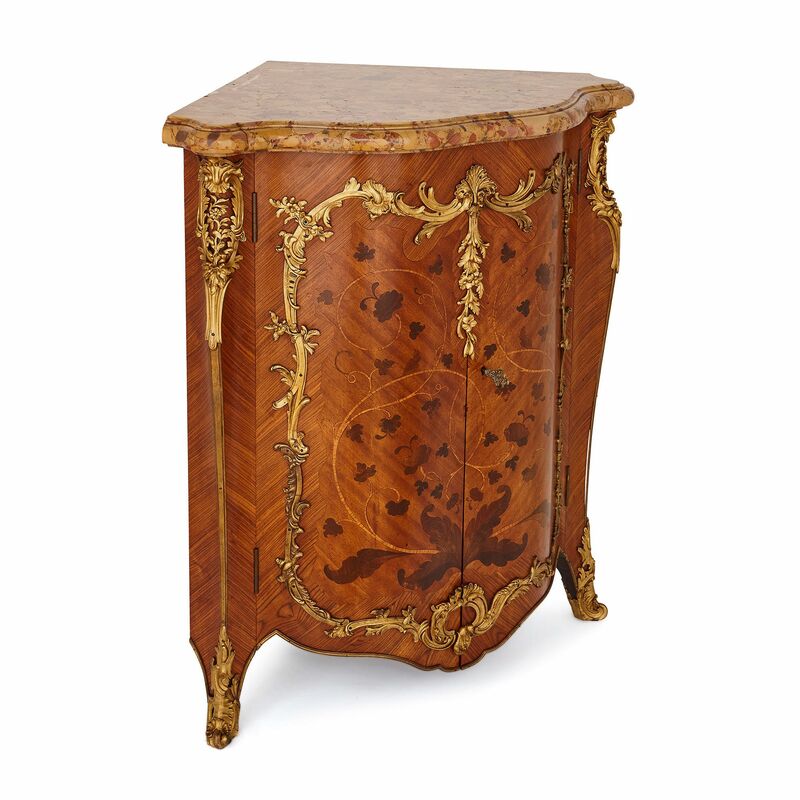 Gervais-Maximilien-Eugene Durand was an exceptionally talented cabinetmaker, who established the successful firm, 'Maison Durand' in Paris in 1870, and who won multiple prizes for his work. The interior of the identical model of encoignure by Durand is illustrated in L'Ameublement d'Art Français, 1850-1900, Archives photographiques Pierre Lécoules, p.257.